University research concluded that when athletes consumed more omega-3 nutrients, as found in krill oil, will help athletes recover more efficiently, thereby helping them build more muscle, in less time. I have been in and out of more gyms than I can remember, over the last twenty five years. I'm an avid fitness and weight training enthusiast. I've lifted heavy, I've lifted light and I've done all the super-sets and drop-set combo's you can think of. I love iron and getting my heart pumping really fast, because I know it's helping me to live longer and healthier, plus, I'm really addicted! I eat clean (most of the time), having one or two cheat meals per week. My diet is high in proteins and fats, and the carbohydrates I take in are pretty low compared to most people. I'm a huge believer in supplementation, because you normally can't get enough of the right nutrients from normal food. I've tried pretty much every muscle building supplement you can name, and I have to say that krill oil is my new favorite. Krill oil is not a muscle building supplement per se, but it is something you should consider if you are lifting weights and want to pack on the beef! Krill oil comes from the largest ‘animal' or biological mass on the planet. They are tiny crustaceans that are found (mainly) in the pacific ocean in their billions. In its natural world, krill is at the bottom of the food chain and is a food for whales and other fish. The oil they produce (through processing) has many wonderful health benefits for everyone, not just bodybuilders and fitness fanatics. A daily dosage of a thousand milligrams is an average does for the ‘ordinary' person or someone who does not participate in any kind of resistance training. This is enough to promote improved heart and blood system health, reducing blood pressure where it is high and helping to thin the blood, where someone is susceptible to blood clots, thus improving blood circulation. The main component of krill oil is omega 3 fatty acids ( EPA – eicosapentaenoic acid and DHA – docosahexaenoic acid), which also helps to increase your ‘mood' hormone, called serotonin. People suffering from depression and mood disorders, can benefit from taking krill oil because it boosts their serotonin levels, which their bodies are naturally very low in. By taking the recommended krill oil dosage, they can relieve and very often cure their symptoms over time, helping them to feel a lot better. Resistance and weight training also signals the release of serotonin, by the way! There is an almost overwhelming healing power to the omega-3’s in krill oil. Not only does it fight cardiovascular disease and help improve mood, but krill oil can also helps cancer patients, and can even help sufferers of Alzheimer's. Can a Bodybuilder Get Enough Omega-3 By Eating Oily Fish Every Day? No. Besides, with all of the pollutants (like mercury) in our waters, would you want to eat salmon every day if you were not 100% sure where it had been swimming? Unlikely. You can't get enough omega-3 fatty acids by eating salmon and other oily fish. You would have to eat a huge amount of fish, even more if you are forty or over, because your body requires more as you age. 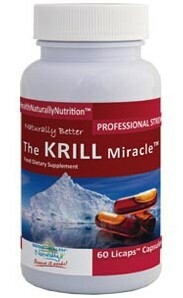 This makes krill oil a real asset in your nutrition plan. Why are the Omega-3's in Krill Oil Important if You Are Lifting Weights? Did you know that if you eat a low fat diet, you will build less muscle than someone eating a medium to high fat diet? I found that out the hard way about twenty years ago. I had been working out on a fat free diet for about six months, without gaining a lot of muscle mass! Fats are so misunderstood, and are often left out of far too many diets, because people are afraid of the word ‘fat'. But fats are extremely important for building muscle and for your overall health. We are not talking about the bad fats you will find in processed foods (although a small amount of that, omega 6 is important, which you can get from steak), we mean ‘good' fats like olive oil, coconut oil, almonds, walnuts, avocados and several other good sources. And the most important fat you need to include in your diet (because your body cannot make it), is omega 3 essential fatty acids. A vital aspect of building muscle is your testosterone levels. The higher your testosterone, the more muscle you will build. And in case you didn't know, testosterone is released during your weights or other resistance workouts after about fifteen minutes of exercising, and then rapidly decreases, over-shadowed by cortisol, after about forty-five minutes. So it is important that you support your testosterone levels after your workouts, and you can do this by taking a krill oil supplement, along with zinc and Leucine, to give it the boost it needs to retain testosterone. If you are regularly working out with weights, you must also consider your bodies natural anti-inflammatory and antioxidant levels. They are a vital part of your muscle building success story. Because you lift weights and place your body under that huge amount of stress, you are breaking your muscle cells down and theoretically ‘injuring' them when you train. This is one form of ‘inflammation', which you need to control, along with toxins like like lactic acid. So you should maintain a constant high level of the right kind of omega-3 fatty acids in your system to protect your soft and connective tissue. You can do this with krill oil because it contains astaxanthin, the compound in krill oil that your body needs. 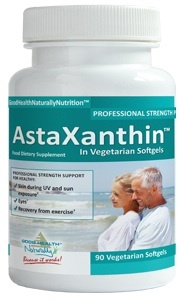 You can read about astaxanthin on this site, in particular, the how much astaxanthin you should take. I've Got Fish Allergies, Are There Any Other Sources of Omega-3? These plant sources contain a lower amount of omega-3 compared to krill oil (and even fish oils), but they are still great sources and would be your preferred choice if you have fish allergies. One of the top sports performance companies in America, Human Performance Specialists, have for the last fourteen years helped professional athletes such as Rashad Evans (MMA fighter) and Donovan McNabb (NFL Quarterback) to achieve an elite peak in their sports career. Thomas Incledon, who is the CEO, a (naturopath) doctor of Exercise Physiology, dietician and strength coach, declares that the right level of omega-3 in your body will reduce muscle protein breakdown and improve muscle recovery, following stressful workouts. Another test related to muscle building was carried out on a group of women aged over sixty five. Some were given olive oil and others omega-3 fatty acids. The group who were given omega-3 supplements gained nearly twice as much muscle as the group that was given olive oil. Both groups completed a twelve week exercise program, comprising of a thirty minute workouts.